These are the prefatory remarks I made as moderator during the panel “Balancing Deep and Wide Impacts in the Design of Civic Tech” at the Digital Media and Learning Conference, Boston, MA on March 8, 2014. I’m working on a project called Action Path. 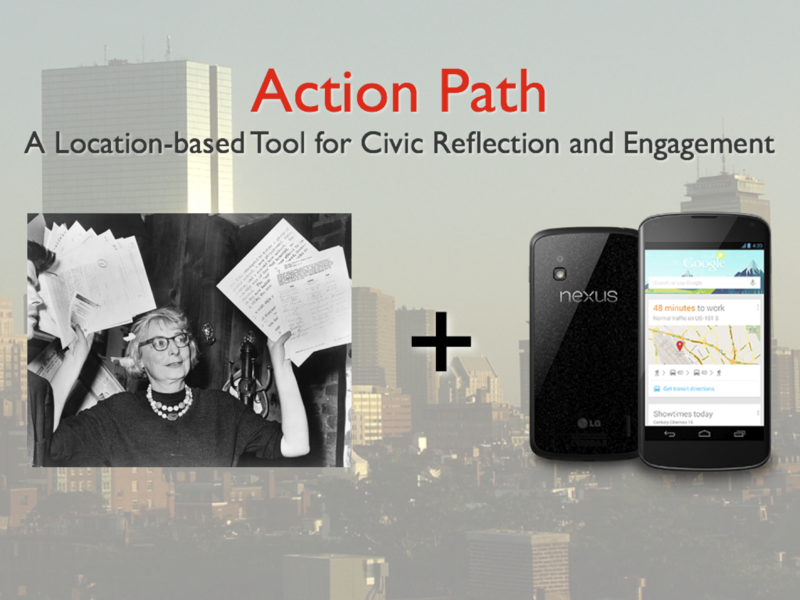 Similar to Promise Tracker, which will be the featured case study in this session, Action Path is a smartphone app for civic engagement. Specifically, the app uses geo-fencing, a technique based on the awareness of the user’s GPS coordinates, to send notifications to users about opportunities to take quick actions in the form of polls or documentation of a local area for easy, yet contextually-relevant civic engagement. As indicated by my promo slide here, it’s meant to marry mobile computing with the concept of a “Jane Jacobs Walk,” whereby you only really understand a city’s needs and resources through walking its streets. I hope you all agree that this sounds great… at least in theory. But what does this look like in practice? Well, right now it looks like three two-hour public meetings per week, where I sit and learn about the ongoing planning processes in Somerville—the city where I live and hope to do my research. I am building trust with folks in the planning department at the City of Somerville and the leaders and organizers in civil society organizations who work on issues like land use, affordable housing, and beautification in different neighborhoods around town. In the end, I have to write this up as a thesis. And that means I need a rigorous study of some kind showing that people’s understanding of their ability to make a difference in their city has changed. I appreciate that this is an iterative and interactive process that demands flexibility, but it’s also hard from the perspectives of design, research, PLUS overall impact. And it’s actually the social processes around the technology that are harder to design than the mobile app itself. 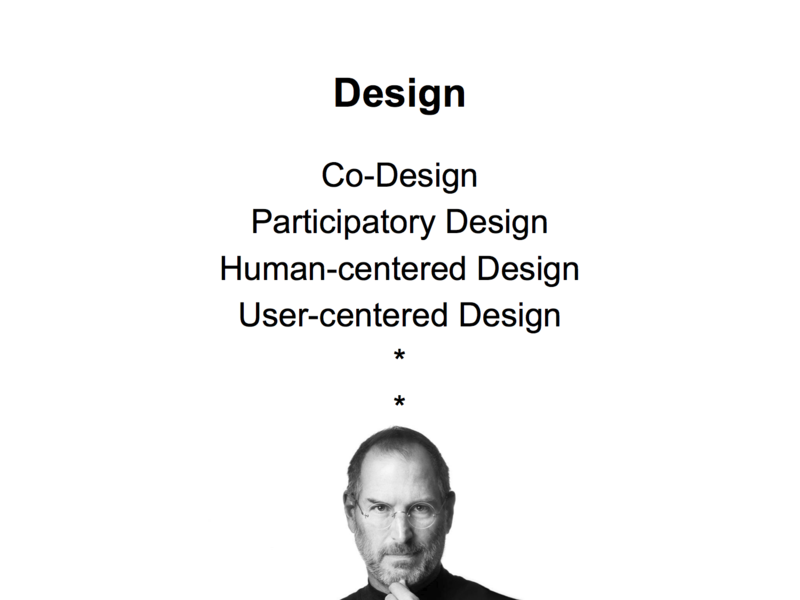 At the MIT Center for Civic Media, we aspire toward co-design. Sasha Costanza-Chock, one of our affiliated faculty, has really put this at the center for his own research (see codesign.mit.edu), teaching classes that focus on the methodology and then connecting students with community members and organizations around particular themes where they work together to first define the problem through establishing a shared language, then think deeply about the context in which a potential solution would be deployed—from the politics, economics, geography, and access to resources including existing technologies. Then, they work to co-construct the solution. The students, a.k.a. the professional designers, are there to empower the community members to design their own most appropriate solution, focusing not only on technologies but on the social processes that must surround any technological solution in order for it work effectively in context. We don’t always meet our aspirations though. We are researchers with research questions that don’t automatically align with the problems and needs of a target population. This is a pretty dangerous notion, but it is also oversimplified. Because there is a design philosophy in here that CAN BE highly respectful to the user, drawing on the traditions of user-centered design and human-centered design, where you really try to figure out how people use technology through observation and intuition. The goal here is to discern the simplest possible technology that works like a user would want something to work, even if they can’t articulate that want verbally. This is profoundly disempowering, of course. This creates a kind of designer-god situation, where we designers know best, and that paternalism is not good for civic technologies. And this is something we appreciate not only as designers, but also as social scientists. Social scientific approaches such as contemporary ethnography and action research have taught us how to respect our research subjects and inform the way we now do design. Major tech firms are hiring ethnographers to understand the way technologies are actually used by people and fit within the contexts, cultures, and sub-cultures of their users. 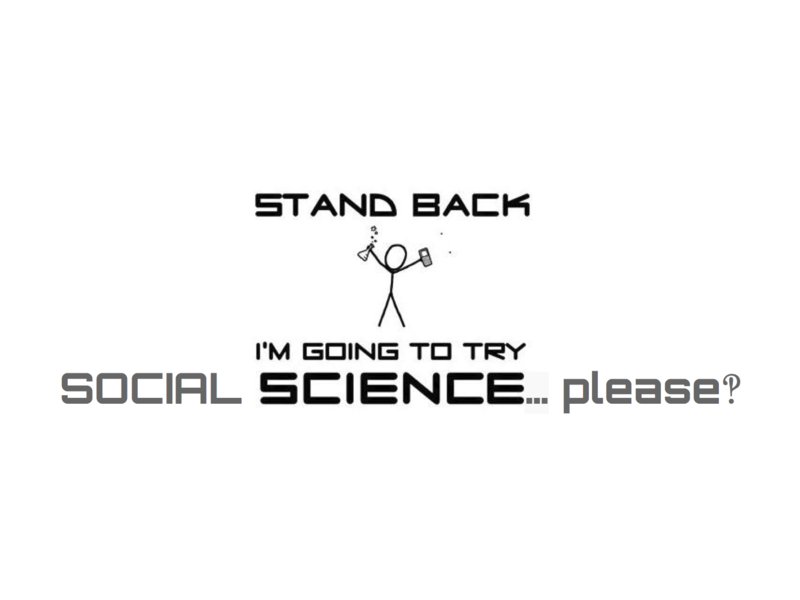 Most relevant here is the evolution of action research from its inception in the 1940s, bringing an experimental approach to social scientific research. It argues that the attempt to produce social change is inherently a questioning of the functions of society itself and serves as an empirical method of inquiry. In many ways, action research is a design process that is iterative like all good design processes are, and contextual like good social science and design—Paulo Freire’s adaptation of “participatory action research” comes to mind for how it took appreciation of context to a new level. Still, there is always a concern over rigor when you become so close the subject you are studying and when the data are so specific: what does it mean for the research to have impact beyond an intervention? So we see old battle lines here. But these are false dichotomies, as we now well know. The best quantitative studies are placed in the context of good qualitative work that pulls out the meaning and relevance of statistical trends. 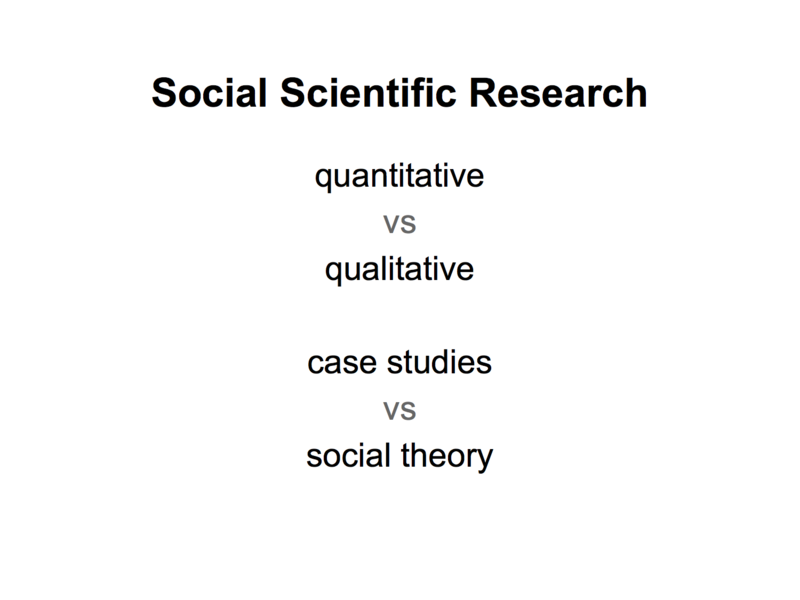 Similarly, we look to quantitative studies to extend the detailed explanations of phenomena in qualitative work to look for other spaces where society behaves similary. This is the process of creating social theory through a series of case studies. And ideally you do this to have impact. 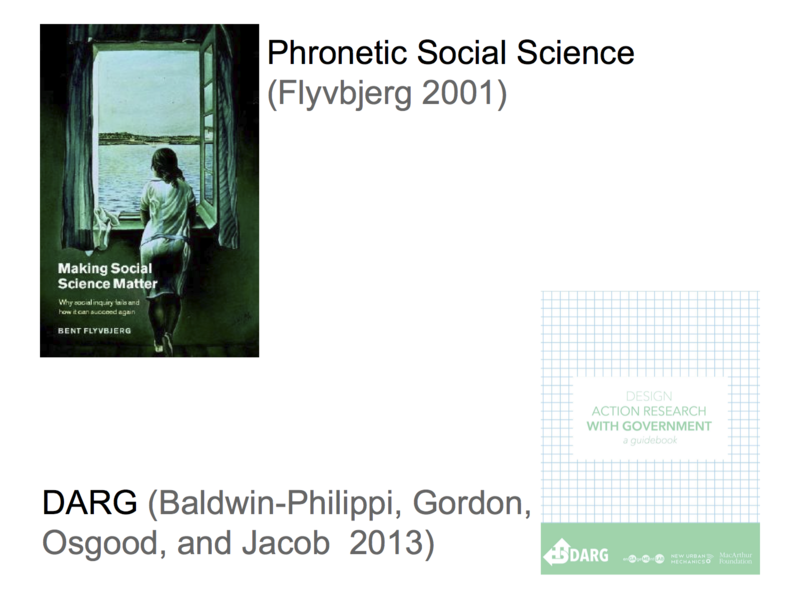 Bent Flyvbjerg has been developing his concept of “phronetic social science” for the past decade, taking the best from action research and mixed method case studies to develop social theories tailored to real world application. He uses the Greek concept of phronesis from Aristotle’s Nichomachean Ethics, which refers to a knowledge of the value of something, which requires an understanding of context but also the projection of the usefulness of research and what impact might look like to all the stakeholders including the researcher. There is a bit of experimentation here, perhaps even grounded theory, in letting things emerge through the application of different critical lenses on a given situation or phenomenon. Furthermore, Flyvbjerg argues that it’s the responsibility of the contemporary social scientist to ensure they keep impact in mind when doing the research such that when papers are published and accounts are given, they can inform an audience of politicians, designers, urban planners, activists, etc. about what worked and what didn’t and how that was a function of the context, giving them the ability to iterate and do better subsequently. I think all of us who practice social science believe that this is what we are doing, or it’s what we aspire to do, but we quickly get wrapped up in the insular tendencies of our disciplines, and present incomprehensible research to each other on more than a few occasions. One approach that is attempting to bring all of this together is “Design Action Research for Government” [pdf]. In the name, you see the pedigree of action research merged explicitly with design, and then made contextually specific to partnerships with government. Of course, this has been developed by DML’s own Eric Gordon along with his research collaborator Jessica Baldwin-Philippi and the City of Boston’s Chris Osgood and Nigel Jacobs, who head up the unusually progressive Office of New Urban Mechanics. Don’t underestimate the importance of having a community partner with a mission of experimentation, as you will hear about in the case of Promise Tracker. But we aren’t always so lucky. And even if we follow DARG’s rough guidelines, there is a lot of work we designer-social scientists need to do in order to adapt any methodology to our own goals and contexts. This brings us back to the root word at the beginning of this session’s title: BALANCE. Can we strike that balance between deep and wide impact, as well as good design and good research? 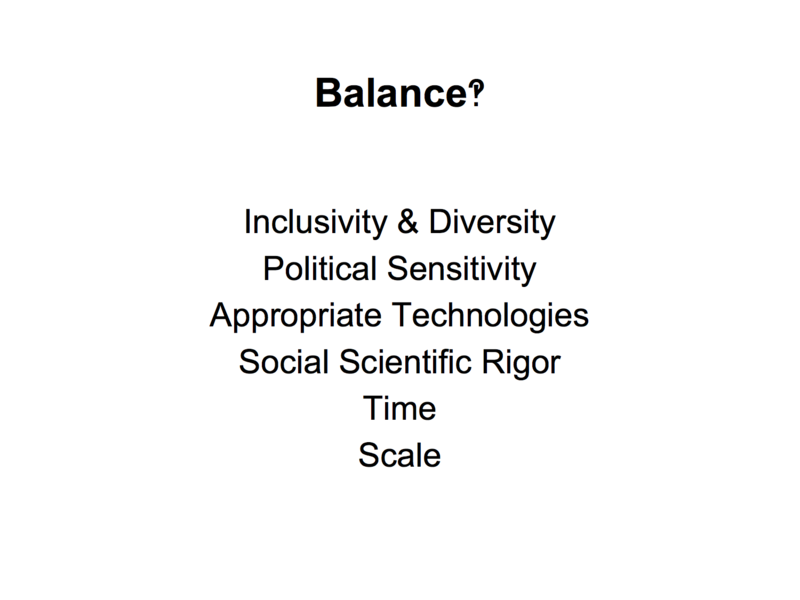 Can we reach our aspirations of inclusivity and diversity, including a sense of shared ownership, political sensitivity, appropriate technologies, social scientific rigor, time, and scale? Chelsea, Heather, and Alexis will take us through their project Promise Tracker and the ways that it has evolved through its recent test deployment, showing us the way these principles and questions play out in a concrete case.